All Landlords have a common law duty to ensure that gas installations and appliances supplied with their properties are safe. Tenants also have certain legal obligations when it comes to gas safety. In the case of residential properties, landlords (or their agents) have a statutory duty to arrange Annual Gas Safety Checks by a Gas Safe Registered Engineer. A copy of the Gas Safe safety certificate must be given to the tenant on entry and within 28 days of the annual check. A copy must also be retained by the landlord for 2 years. 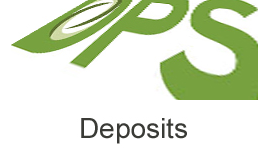 Tenancy deposits now require an authorised Tenancy Deposit Scheme of which there are two types - a single custodial scheme and an insurance scheme. In the custodial scheme landlords pay deposits into a special account where it stays until the tenancy ends, when either the landlord or tenant can apply to have it returned. If both agree on how it should be split, the scheme administrator pays within 10 days of receiving a request. In the insurance scheme deposits are kept by landlords on the basis that when the tenancy ends, the amount agreed between landlord and tenant will be paid out to the tenant. The insurance only comes into effect if, at the end of a tenancy, the landlord does not pay back part or all of the deposit within 10 days of the tenant asking for it. Should this happen, the tenant approaches the scheme administrator. The landlord will then have to pay the amount into a special authorised account within a further 10 days. Once a dispute is settled the administrator has to pay the tenant within 10 days. The insurance comes into effect if the landlord fails to pay the deposit into the account as requested. Landlords will have to pay to join a scheme and there are penalties for landlords who don't join a scheme. It will also be impossible to get possession if you are not in one. SELLING, LETTING OR BUILDING any property in England and Wales will from 2008 require Energy Performance Certificates (EPCs). Energy Performance Certificates were first introduced as part of the Home Information Pack and will be legally required from 2008 for all construction, sales and lettings of property in England and Wales - to be prepared at the expense of the landlord or owner. 1-From its EPC, a potential tenant or buyer can estimate how much it is likely to cost to heat and run the property and this will be publicised so that potential tenants or buyers will come to favour greater energy efficiency. 2-The EPC scheme applies to commercial and property sales and lettings from 6 April 2008 if 1000 m2+, from 1 July 2008 if 500 m2+ and from 1st Oct 2008 for all. EPC’s became Mandatory from the 1st October 2008 for all residential property sales and lettings including social housing . It applies to all construction from 6 April 2008. It will not apply to long lease lettings made before October 2008. 3-All EPCs are to be held on a central register that can be accessed by the landlord or owner responsible for commissioning the EPC, and must be made available for viewing by prospective buyers or tenants. 4-EPCs will be valid for ten years on let property, but if changes are made to the property which may affect its energy efficiency then a new EPC should be commissioned before a new letting takes place. 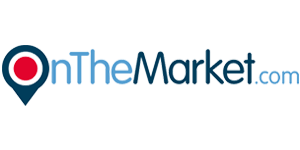 BUT residential property sales must have an EPC that is less than 12 months old when the property is first marketed. 5-An EPC can be produced only by an accredited EPC assessor. 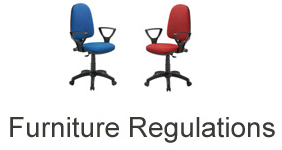 Furniture which complies carries a manufacturer's label which must be permanent and non-detachable. The new rules mean that landlords need to carry out quick and simple checks on all new adult tenants to make sure they have the right to rent a property in the United Kingdom. 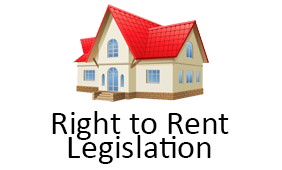 This Right to rent guide gives a brief overview of the scheme, and some advice on how to conduct the checks.